— This article by Jerry Cates and Tim C., first published in October 2008, was last revised on 24 April 2016. © Bugsinthenews Vol. 09:10(01). The photo at right was taken by Tim C.
This species of rattlesnake is relatively rare in Texas (and inasmuch as it is considered threatened, is protected from sport hunting and collecting in the state: per comments received by Brandon McHenry, of the TPWD, the reader is invited to review the material posted by Texas Parks & Wildlife on this serpent), but is more common in Louisiana, Mississippi, and Alabama. It inhabits lowland forests, hilly woodlands near water courses, ponds, and lakes, and canebrakes across the eastern Texas gulf coast. 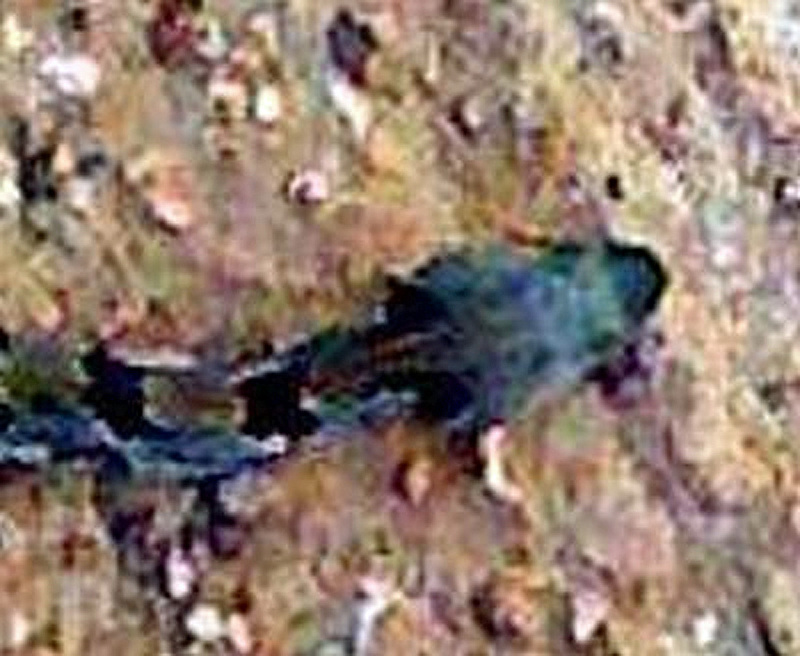 The body always darkens toward the tail, which–including its rattle–is entirely black. John Werler & James Dixon, in their book “Texas Snakes” (published in the year 2000), provide details on this snake on pages 378-382. Their material is recommended reading. Alan Tennant, in his book “A Field Guide to Texas Snakes” (2nd Ed., published 1998), points out that herpetologists are not convinced that the canebrake rattlesnake is truly a subspecies of the timber rattlesnake. The timber rattlesnake (Crotalus horridus), is generally described as having a darker, solid color forebody, and is known by some as the “northern form” timber rattler. The “southern form” of the species is that found in the South, where it has been classified by some as a subspecies, atricaudatus, with the common name of canebrake rattlesnake. This common name reflects a distinct preference of the subspecies for a microhabitat that is quite different from the timber rattler. The latter prefers dry, but thick woods, and the former prefers wet bottomlands. Body background coloration, in the canebrake subspecies, can range from pale yellow, grayish brown, pinkish gray, to pale grayish blue (as in this specimen). The dark brown or black jagged crossbands or chevrons are edged, though unevenly, with a pale outline coloration. The chevrons themselves are irregular in shape, and often will be interrupted along their length. In general, the chevrons are “swept backward” from the head, so that the inclination of the chevron at the spine points toward the tail. 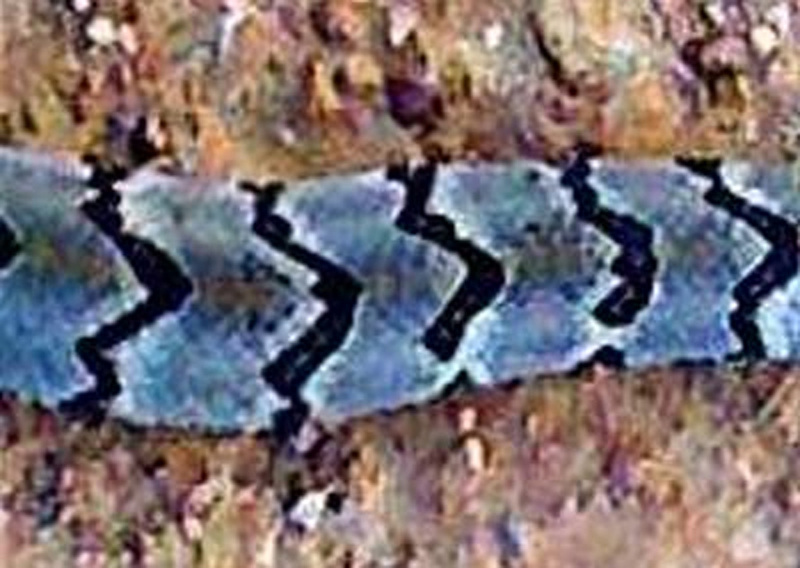 This is similar to the way the diamonds on the western and eastern diamond-back rattlesnakes are shaped, with the brightest edge of the diamond “swept backward” toward the tails of those species. The photo at left is an enlargement of the mid-body from Tim’s photo, at the top of the page. Dark, narrow chevrons–good camouflage in its normal habitat, the cane brakes of south and east Texas and Louisiana–stretch across the body, making this snake easy to identify when it is observed by a sharp-eyed human. The body is flattened at its edges, as many snakes, rattlesnakes included, tend to do when threatened. A dull reddish brown spinal blush is subdued at midbody, but more pronounced near the wide, triangular head. The head has a dark nose and a dark trace from the eye toward the neck. This rattlesnake is remarkably mild-mannered, and is more likely to stop moving when threatened than to flee or use its rattle. It is rarely encountered due to its choice of habitat, but its unusually long strike, relatively long fangs, and powerful venom, make its bite more deadly than most of our other venomous snakes. The timber rattlesnake (Crotalus horridus) is famous for its numerous mentions and involvements in the history of the United States of America. Harry W. Greene, in his book “Snakes, the Evolution of Mystery in Nature“, published in 1997, points out that John Smith mentioned them in his 1621 paper “A Map of Virginia, with a Description of the Counterey…”. The rattler flags with the motto “Don’t Tread on Me” that were popular during the Revolutionary War used a depiction of the timber rattler to get the point across that, as Benjamin Franklin was fond of saying and writing, while the American colonist was by nature friendly and accommodating, actively treading upon those good graces would bring swift, and dangerous, retribution. 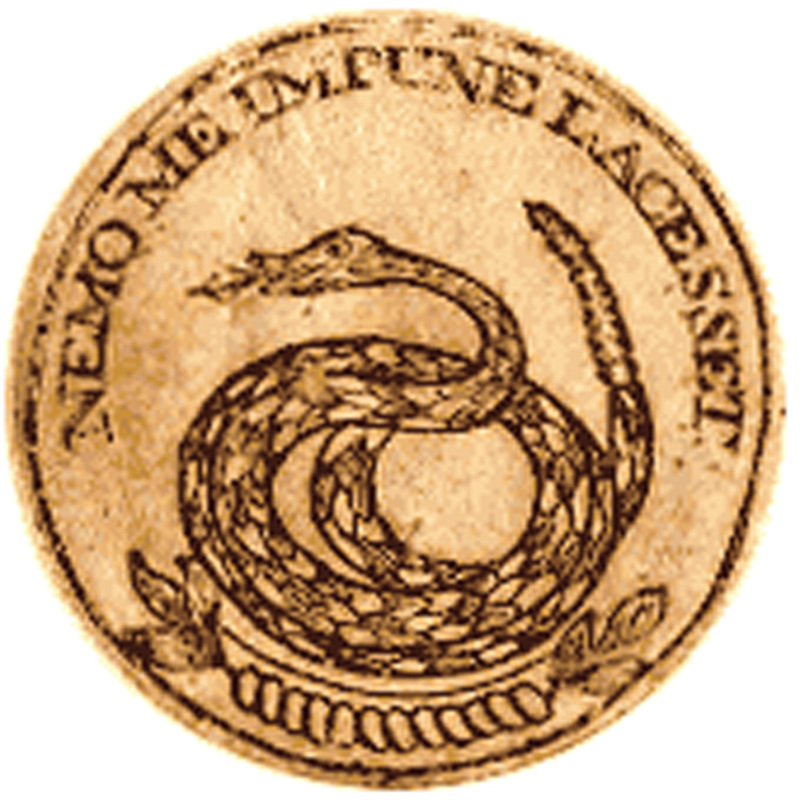 Ben Franklin, in one of his essays, noted that because Great Britain had a policy of sending convicted felons to the colonies, the colonists should thank England by sending rattlesnakes to the Brits.